A man had a seizure while swimming in the Aquatic Center in the Bay during San Francisco’s Alcatraz Sharkfest Saturday morning. 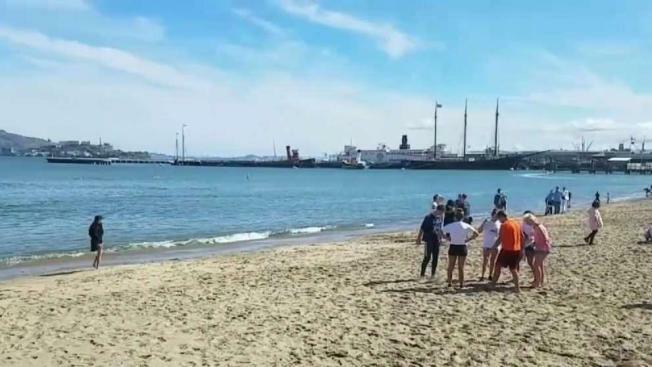 A man had a seizure while swimming in the Aquatic Center in the Bay during San Francisco’s Alcatraz Sharkfest Saturday morning, officials confirm. A lifeguard on a rescue craft noticed a man in distress around 9:15 a.m. and immediately attempted to rescue him. By the time he arrived, the victim’s heart had stopped. The lifeguard performed CPR on the rescue craft before the victim was transported to the shore where CPR continued. The victim was then transported to California Pacific Medical Center in San Francisco "after regaining pulses from CPR and paramedic efforts," Jonathan Baxter, San Francisco Fire Department Spokesman. The current status of the victim is unknown.